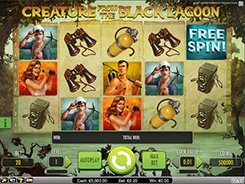 This 5-reel slot produced in cooperation with Universal Studio is based on the same-name American horror film about a scientific expedition that found a monster in the Amazonian jungle. Having a unique visual style and the retro artwork derived from the film, the slot stays true to the original. On the reels you will encounter the main characters from the film as well as some of the travel gadgets like knives, binoculars, and more. As there are 20 fixed paylines in play, a spin bet cannot be less than 20 coins. A coin value is adjusted from $0.01 to $0.5, with up to 10 coins accepted per line, so you can vary your bet sizes from $0.2 to $100 per spin. 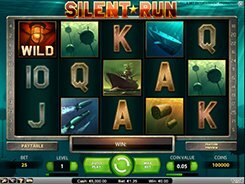 The slot features three different wild symbols, all acting as sticky wilds in a normal game and free spins. Whenever a wild appears on the reels, you get a free respin with that wild symbol sticking to its position during the respin which gives you more chances for creating a winning combination. 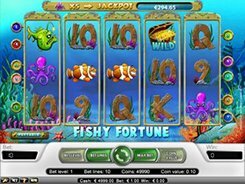 The slot has a scatter that unlocks up to 20 free spins if 3+ appear in view. 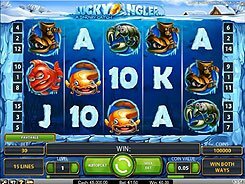 The 1st and 2nd largest cash prizes in the slot are $3750 and $3000 respectively.